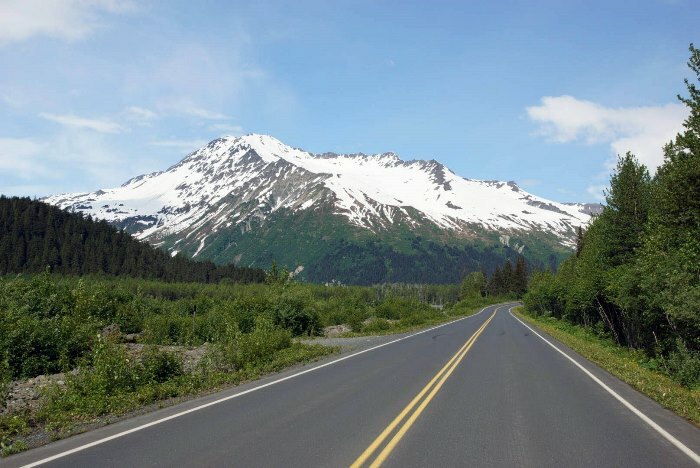 A visit to Seward isn’t complete without a drive into Kenai Fjords National Park. 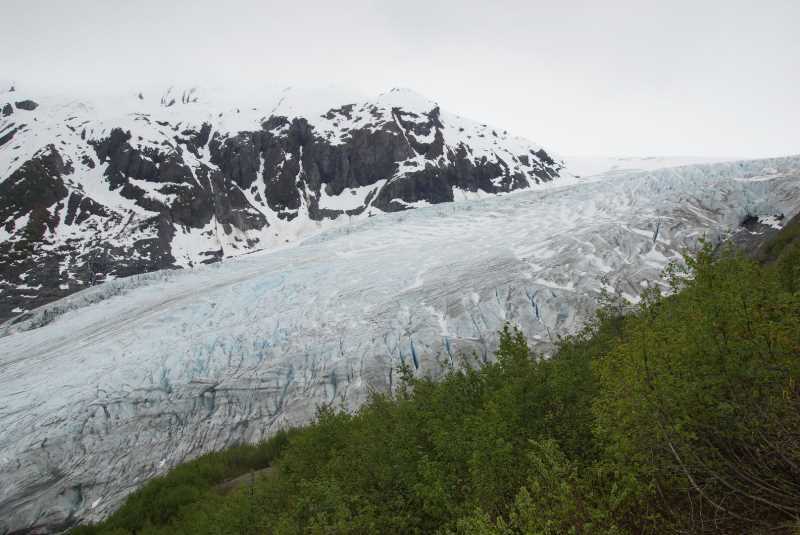 Just one road enters the park, providing access to Exit Glacier — a massive chunk of ice flowing off the Harding Icefield. 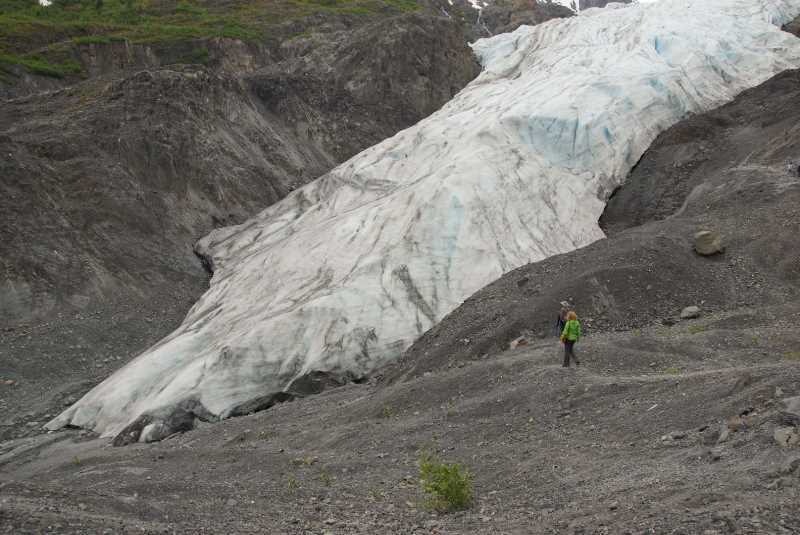 There are several hiking options that will allow you to see the glacier. I explored some of the more extensive hikes during my previous visit. This time, I’ll show you what you can see on two of the shorter hikes: Glacier View and Toe of the Glacier. 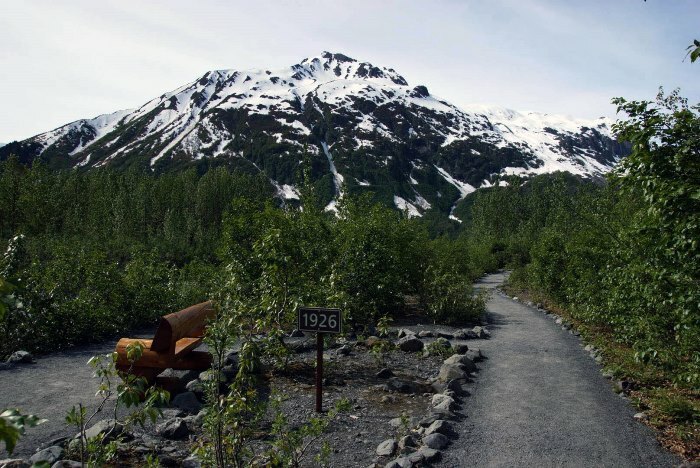 The road to Exit Glacier and Kenai Fjords National Park is located north of Seward, Alaska. From Seward, head north on the Seward Highway (Alaska Route 9). You’ll pass the airport, then cross Resurrection River (the river formed by Exit Glacier). Watch for Herman Leirer Road on the left. 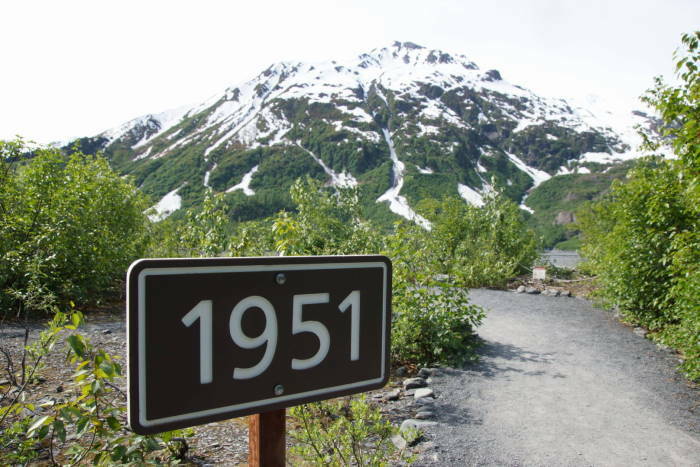 This road runs alongside the Resurrection River to the Exit Glacier trailhead. 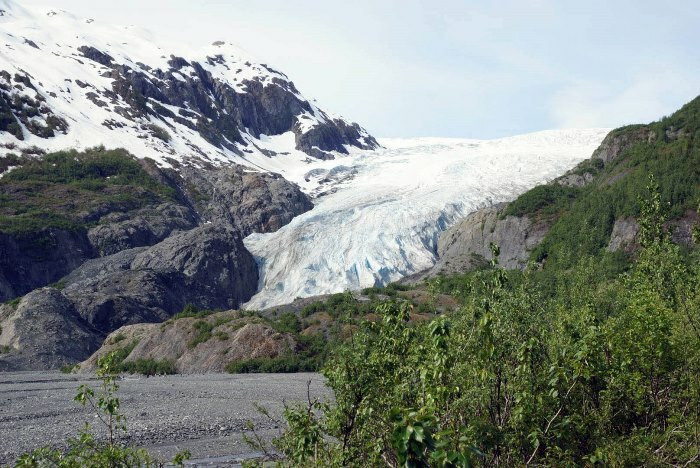 The beauty of Kenai Fjords National Park is on display, before you even get to Exit Glacier’s parking lot. 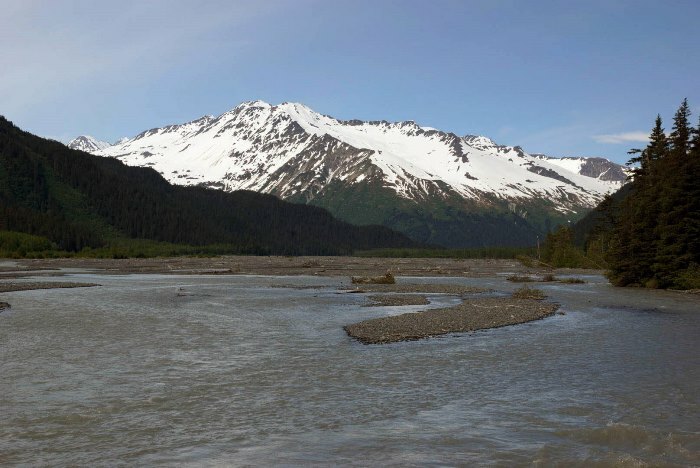 For about nine miles, the road into the park runs alongside the braided Resurrection River, which is fed by the melting glacier. There are a few places along the side of the road where you can park and enjoy the view. Exit Glacier is just up the road, and around the corner to the left. 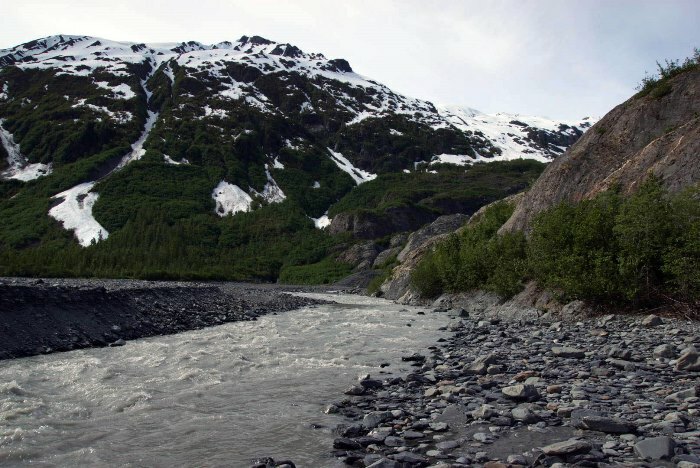 provides views of the river, as you progress closer to the glacier. 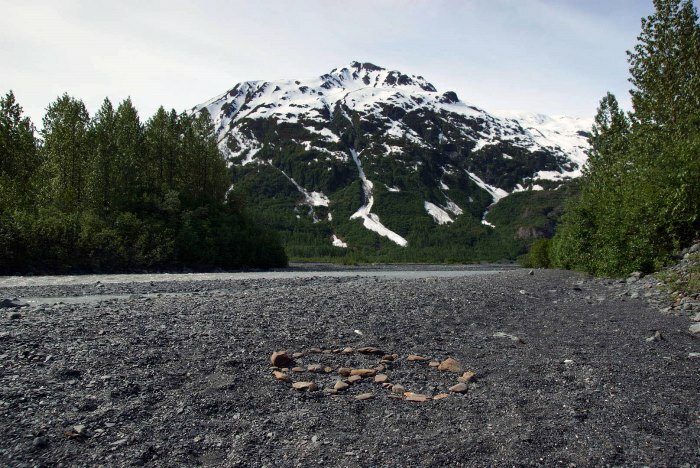 Dated signs illustrate how far the glacier has receded over the years. This is the best view of the glacier from the Glacier View Trail. Beyond the binoculars, the trail enters the forest and loops back to the main trail. Go a bit further and the trail splits again. If you take the path on the left, you’ll be headed out the Toe of the Glacier trail. 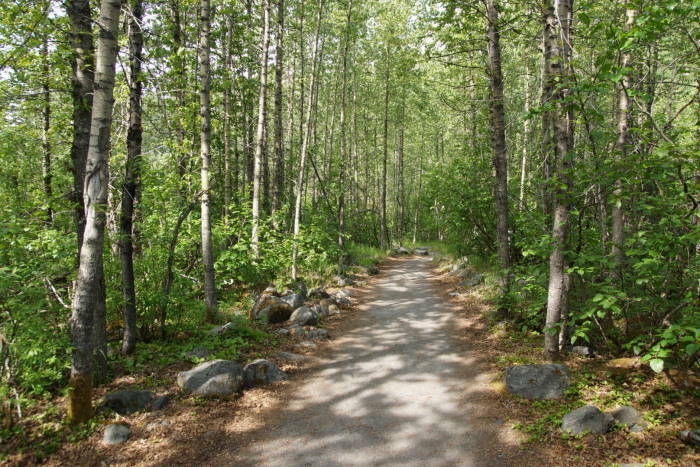 This trail is a formal trail for just a moment, then it drops you on the gravel banks of the Resurrection River. And as you can see, there are multiple streams of water to cross. Depending on the current course of the river, you might not be able to go much further. I hopped over a few smaller streams, until I realized I couldn’t go any further. And as you can see, there’s no view of the toe of the glacier, unless you can get much closer. If you do want a closer look at the glacier, and you can handle an easy hike, I’d highly suggest you take a walk out the Edge of the Glacier trail. This is what it looked like when I visited in 2015. 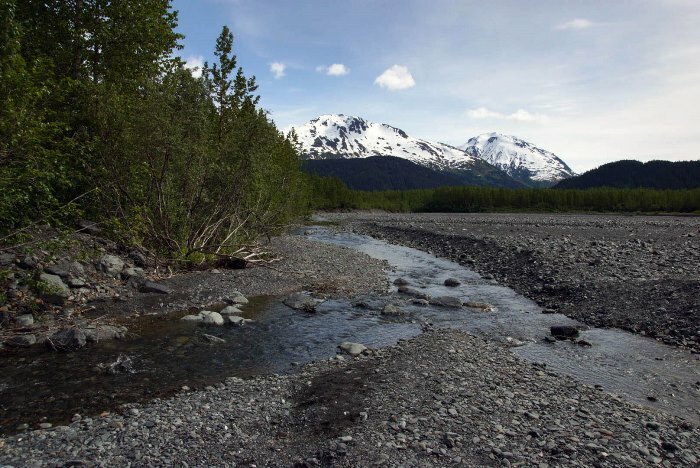 And for an even better experience, hike up the Harding Icefield trail. This is the view I found, about halfway up the trail, back in 2015. Even a short visit to Exit Glacier is rewarding. 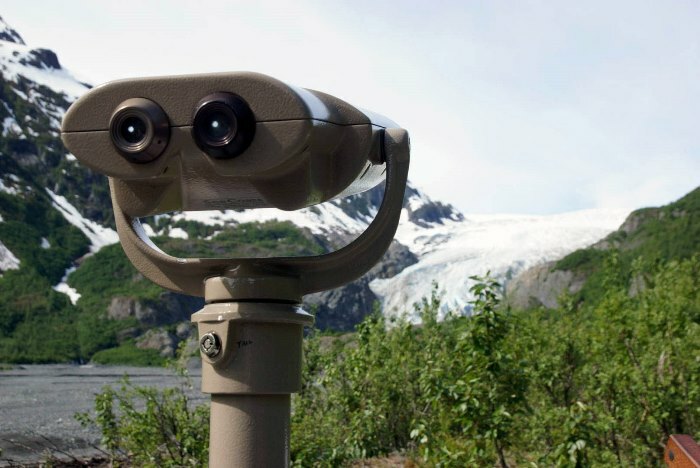 You’ll get to see one of the most visited glaciers in Alaska. I’d suggest that hiking the Edge of the Glacier Trail gives you the most reward for the effort. But, if your time or physical ability is limited, a walk on the Glacier View Trail is a good option.